£10 million for Jarvis? You've got to be joking… | The Transfer Tavern | Where football transfer rumours fly or die! Not too long ago Matt Jarvis was causing Premiership full backs up and down the league sleepless nights and even gained a well earned England call up but last season saw the man from Middlesborough warming the bench of a struggling Wolves side by the end of the season. You would think this decline in form would leave Jarvis short of Premiership suitors and having to face the reality of a season in the Championship, however The Express are reporting that West Ham are interested in allowing the former Gillingham man another shot at the Premiership. Even more surprising than the knowledge that West Ham feel Jarvis could be the missing link to ensuring a successful season in the Premiership is that Wolves are demanding £10 million for the winger’s services. £10 million is a price so silly that the only reasonable conclusion is that Wolves don’t really want to sell. At 26 years old it is possible that Jarvis could once again rediscover the form he once showed and have many successful seasons ahead of him but that seems a distant possibility after last season’s dismal campaign. Since taking ownership of West Ham Gold and Sullivan having been pretty prudent with their finances and have done little to suggest they’d be willing to take such a punt. 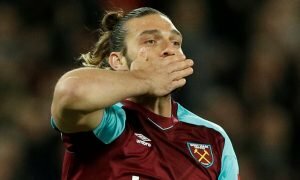 I wouldn’t be wasting any of my money on betting that Jarvis will be putting the ball on Andy Carroll’s head for West Ham first goal back in the big time, and I don’t expect West Ham to be wasting £10 million of their money.